CALL NOW TO RESERVE YOUR PICK POSITION! WE ARE PROUD TO ANNOUNCE THE ARRIVAL OF OUR NEXT LITTER(S) DUE MID MARCH. WE ARE HAVE A WIDE VARIETY OF COLORS INCLUDING BLUE, RED, RED FAWN, AND PIED STEMMING FROM OUR NEWEST SIRE (RIDGE ) FROM THE DIRECT LINEAGE OF THE FIRST BLUE TRI PRODUCTION EVER (SHRINKABLES BLUE MOON) WHERE THE STARS GET THEIRS. OUR NEXT HOPEFUL LITTER DUE MID MARCH 2019 HAS ARRIVED WITH PUPPIES AVAILABLE MID MAY 2019. IF INTERESTED PLEASE TAKE NOTE OF ALL INFORMATION ON THIS PAGE AND LET US KNOW IF YOU WOULD LIKE TO MAKE A DEPOSIT TO HOLD THE PUPPY OF YOUR CHOICE. PRICING AND PUPPY INFO. IS AVAILABLE ON THE AVAILABLE PUPPIES PAGE TO THE LEFT. PLEASE SCROLL DOWN FOR FURTHER INFO. TO RETAIN YOUR PICK POSITION FOR CURRENT AND UPCOMING LITTER(S). THANK YOU FOR YOUR INTEREST IN THE SERVICES WE PROVIDE AT BLUE GRIT. PLEASE SELECT THE DESKTOP VERSION AT THE BOTTOM OF YOUR SCREEN ON YOUR MOBILE DEVICE FOR BETTER VIEWING. PLEASE TAKE ADVANTAGE OF ALL THE INFORMATION PROVIDED ON EACH PAGE AND THEN FEEL FREE TO ASK ANY ADDITIONAL QUESTIONS THAT WE MAY HAVE FAILED TO PROVIDE THE ANSWERS TO. THIS WEBSITE IS UPDATED ON A REGULAR BASIS. 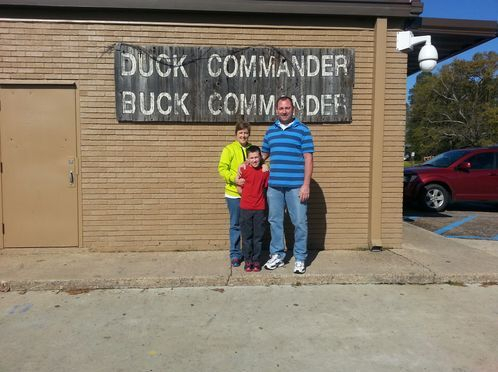 WE ARE A FAMILY OPERATED BUSINESS LOCATED IN NORTH CENTRAL ALABAMA. SHERRY IS AN AVID CANINE ENTHUSIAST WITH A CERTIFIED BACKGROUND IN VETERINARY ASSISTED MEDICINE AS WELL A TRAINED AND EXPERIENCE PET CARE/GROOMING SPECIALIST WHILE ANDY IS A CERTIFIED BIOLOGIST AND VETERINARY/GROOMING EQUIPMENT SERVICE TECHNICIAN. WE BOTH HAVE OVER 20 YEARS OF EXPERIENCE IN THE ANIMAL CARE INDUSTRY. OUR SON CHASE IS CURRENTLY DEVELOPING HIS BACKGROUND IN THE AREA OF HANDS ON TRAINING AND EXPERIENCE. IT IS OUR GOAL TO TREAT YOU AS WE WOULD WANT TO BE TREATED REGARDLESS OF THE AREA WE CAN BE OF SERVICE. MEETING PROSPECTIVE CLIENTS AT OUR NEAREST AIRPORTS (HUNTSVILLE OR BIRMINGHAM) FOR THOSE WHO WISH TO PICK UP THEIR NEW BABY IN PERSON. PLEASE SEE THE SIDEBAR FOR FURTHER DETAILS AND UNDERSTAND THAT THIS IS ONLY OFFERED AS AN OPTION TO ASSIST THOSE WHO MAY HAVE DIFFICULTY IN PICKING UP THEIR PUPPY AND WE CAN NOT ALWAYS GUARANTEE THIS AVAILABILITY DUE TO OUR BUSY SCHEDULES. FOR INFORMATION REGARDING ANY OF THE PREVIOUSLY MENTIONED SERVICES PLEASE TAKE NOTE OF THE SIDE BAR. NEXT HOPEFUL LITTERS DUE MARCH MID 2019. 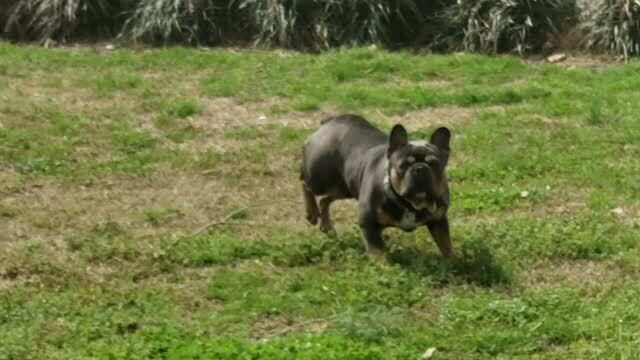 BREEDING HAS BEEN COMPLETED FOR OUR NEXT HOPEFUL LITTERS DUE TO ARRIVE MID MARCH 2019. IF YOU ARE INTERESTED IN ADOPTING A PUPPY FROM OUR NEXT AVAILABLE LITTER AND WOULD LIKE TO TAKE ADVANTAGE OF OUR PRE-ARRIVAL DEPOSIT PROGRAM OR BE PLACED ON OUR NO OBLIGATION ADOPTION/WAITING AND OR POST ARRIVAL DEPOSIT LIST THEN PLEASE FEEL FREE TO SUBMIT YOUR CONTACT AND INTENT INFO. BY PHONE OR EMAIL AND WE WILL UPDATE YOU ACCORDINGLY. IF YOU ARE CONSIDERING AN ADOPTION FROM US TAKE ADVANTAGE OF OUR PRE - ARRIVAL DEPOSIT PROGRAM. OUR AVERAGE PRICE FOR STANDARD COLOR AKC COMPANION REGISTRATION IS $ 3500 AND AVERAGE PRICE FOR BLUE COLOR VARIETY AKC COMPANION REG. IS $4000+ HOWEVER, IF YOU WOULD LIKE TO RESERVE PICK POSITION ON OUR NEXT AVAILABLE LITTER THEN YOU WILL BE ELIGIBLE FOR A $500 DISCOUNT FOR YOUR PICK WITH A SUBMITTED $500 DEPOSIT PRIOR TO LITTER ARRIVAL. PICK OPPORTUNITY WILL BE AT A TARGET 2 WEEKS OF AGE THEN REMAINING AVAILABILITY WILL BE OFFERED TO OTHERS ON OUR NO OBLIGATION/ADOPTION WAITING LIST AND POST ARRIVAL DEPOSIT PROGRAM. 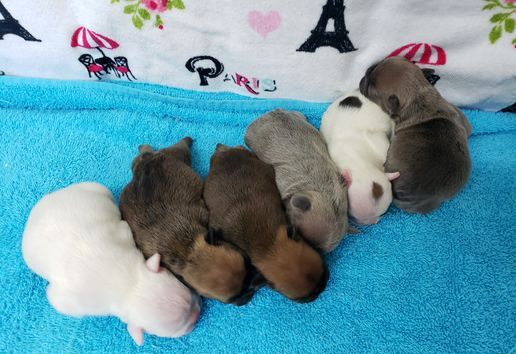 ONCE AGAIN, DEPOSITS SUBMITTED AFTER LITTER ARRIVAL WILL BE SUBJECT TO THE AVERAGE PRICE OF $3500 FOR STANDARD COLORS AND $4000+ FOR BLUE COLOR VARIETY TO BE DETERMINED BY WE THE BREEDER. POST ARRIVAL DEPOSITS OF $500 WILL ALSO BE ACCEPTED BUT PLEASE BE AWARE THAT AVAILABILITY MAY BE LIMITED AND DETERMINED PRICING WILL APPLY. YOU MAY ALSO REQUEST TO BE PLACED ON OUR NO OBLIGATION ADOPTION LIST AND WE WILL UPDATE YOU ACCORDINGLY ONCE THE LITTER ARRIVES HOWEVER PLEASE BE AWARE THAT AVAILABILITY MAY BE LIMITED AND REGULAR DETERMINED PRICING WILL APPLY. WE PROUDLY ENDORSE NU VET VITAMIN SUPPLEMENTS AND ADMINISTER IT TO ALL OF OUR BABIES AND NURSING MOTHERS. YOU WILL BE FURTHER INFORMED OF ITS POSSIBLE BENEFITS UPON ADOPTION OF ONE OF OUR BABIES. NO REFUNDS OR REPLACEMENTS AFTER CONTRACT OBLIGATIONS HAVE BEEN MET. SHIPPING IS AVAILABLE VIA FLIGHT AND OR GROUND TRANSPORT TO SELECT AREAS. PLEASE CALL FOR DETAILS. CUSTOMER PICK - UP IS PREFERRED HOWEVER, WE DO ALSO OFFER PET SHIPPING AND TRANSPORTATION SERVICES TO APPROVED APPLICANTS AT OUR DISCRETION. WE RESERVE THE RIGHT TO REFUSE ADOPTION TO ANY HOME OR ENVIROMENT WE DEEM UNSUITABLE OR INAPPROPRIATE. THE INFORMATION AND PICTURES PRESENTED ON THIS SITE ARE THE SOLE PROPERTY OF BLUEGRITKENNEL.COM AND UNAUTHORIZED USE OF THE AFORE MENTIONED PROPERTY IS PROHIBITED. UNAUTHORIZED USERS OF THE INFORMATION AND OR PICTURES ON THIS SITE WILL BE PROSECUTED. WE DO NOT SUPPORT PUPPY MILLS AND OR BROKERAGE SERVICES. OUR PUPPIES ARE INTENDED FOR FOREVER COMPANION HOMES ONLY.